Experiment name: Prepare a trimming list of shirt, trouser and jacket. The materials used in a garment except cloth to make a complete garment are called trimmings. Some trimmings can be seen from outside whether some are not. Again some trimmings are used for increasing beauty whether some for only function. To list out the trimming names. According to ligne no there are various types of buttons. Lange is the measuring unit of button diameter. 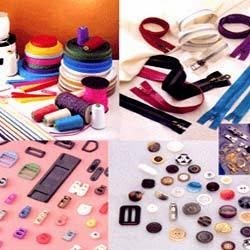 In making trousers, skirts and jackets chain or zipper is an essential component which is used to open or close the opening of garment. Functional purpose of zipper is as a part of a garment. Where zipper is used as a decorative purpose it increases the beauty of garment. Polyester or nylon coil zipper. No garments can be sold without some kind of label attached to it. Specially in case of exporting, label on a garment is a must. Label is a attached compound of garment on which important information regarding the garment are written on printed. Linings are generally a functional part of a garment. They are used variously to maintain the shape of a garment, to improve the hang and comfort by allowing it to slide over other garment. Linings are joined to main garment by sewing and for this normal sewing machines are enough. The method of attaching lining to outer garments depends on the garment type and on whether it is fully or partially bagged out. Interlinings are used to support, reinforced control the shape of some areas of garments such as collars, cuffs, waist bands, facings and the front of coats. They are attached by fusing. The experiment gives us an idea about different types of trimmings. I would like to give special thanks to our teacher. I am also grateful to our instructors. I think this experiment will be very helpful in my future life.